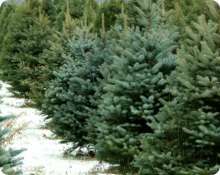 Triangle Farms offers Noble Fir Christmas Trees, from tabletop size through 10 ft., baled and loaded on your truck at our farm. We offer several grades of trees or field run. With our fast and efficient harvest we are able to handle trees with little damage, providing top quality trees. We harvest 10,000 to 20,000 trees a year and provide superior service. We are currently looking to take on a few more customers this year.  Triangle Farms has been growing Christmas trees since the late 1950’s.We have focused our production on Noble Firs. This is due to our prime growing area which is well suited for growing these beautiful trees. Over our years of experience in producing this species we have learned many cultural practices that keep our quality trees in high demand. Our trees grow at 500 to 1,700 ft. elevation on well-drained volcanic soils that are suited for these trees. 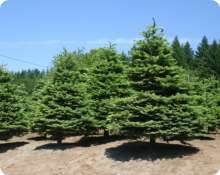 Noble Fir trees are slow growing and take many years to grow into top quality trees. Our trees are produced on plantations that utilize the smaller, steeper, rocky and more difficult to access areas on our farm. These areas work very well for producing quality trees, while being cost effective and environmentally friendly. While these trees are being grown, they provide oxygen and filter our water and soils which creates a bio mass for improving the earth and creating a habitat for wildlife. 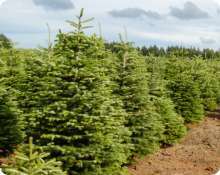 These trees are being produced for Christmas Trees and are not grown with any other purpose because of the species of tree. They cannot be used for timber due to the culture practices that are used to bring you that perfect tree. When each of our trees is harvested, there is always another one planted to replace it. Having a real tree in your house at Christmas time truly symbolizes the meaning of giving and life and you can actually see it, smell it, and feel it. Remember that these trees are produced for this purpose and would have to be destroyed if they were not used. A real tree provides environmental benefits, unlike an artificial tree that does nothing but pollute when being produced and dumped in landfills when disposed of. These trees have an added benefit after Christmas when they are shredded and composted to provide an excellent compost matter, unlike an artificial tree that sits in an attic, garage, closet or landfill taking up space. Trees in a forest are grown for other uses that require a much longer growing period. This is why it is important to buy trees from a Christmas tree plantation rather than cutting a tree from a forest that is being grown for timber. This allows us to save those trees for their valuable use in the future. Noble Fir trees have been one of the highest valued trees on the market due to their needle retention and overall appearance. They have strong branches for hanging ornaments and other decorations. Nobles are a very durable tree and you should have no problem finding the one that fits your needs. If you have any questions on Noble Christmas Trees please contact us. If you are interested in purchasing our Christmas trees or finding out more about our production capabilities please feel free to contact us. Select the freshest-looking tree available. To test for freshness, gently grasp a branch between your thumb and forefinger and pull it toward you. Very few needles should come off in your hand. Shake or bounce the tree on its stump. You should not see an excessive amount of green needles fall to the ground. Some loss of interior brown needles is normal. If not setting up right away, store the tree in water if possible and out of the sun and wind. Make a fresh cut off the bottom of the trunk one half inch from the bottom just before putting in the stand. Keep the tree’s stand full of water at all times, checking the water level daily. Don’t add anything to the tree’s water. Research has shown that plain tap water is by far the best. Some commercial additives and home concoctions can actually be detrimental to a tree’s moisture retention and increase needle loss. According to the National Fire Protection Association (NFPA), approximately one tenth of one percent (0.12%) of residential fires involve a Christmas tree – both real and artificial. In 1998 more than 32 million Real Christmas Trees were used in the U.S. Of these only 0.00093% ignited in home fires. 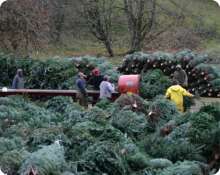 FOR MORE INFORMATION ON CHRISTMAS TREES GO TO THE NATIONAL CHRISTMAS TREE ASSOCIATION WEBSITE!